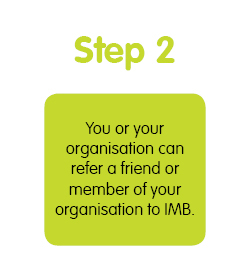 An IMB referrer arrangement can help your organisation’s fundraising activities. Take the hard work out of your fundraising activities. IMB is committed to helping local communities get ahead. A referrer agreement is a simple and effective way to boost your fundraising activities without overloading your fundraising team. Under an IMB referrer agreement, all home loans and commercial loans referred by your organisation or committee are eligible for a 0.25% commission, payable on settlement1. For example if a community member takes out a home loan of $500,000, this would raise $1,250 towards your organisation. It’s that easy and adds up quickly. How to promote your agreement with members and friends. 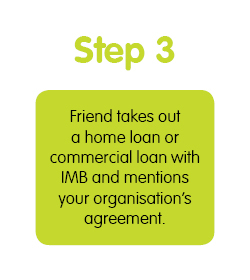 IMB Bank can provide a range of materials to promote your referral agreement. Keira Cricket Club has found the Loan Referrer agreement an effective way to raise money. In a difficult climate to obtain sponsorships from the general business community the IMB referrer agreement has been helpful in providing revenue for the club. For an amateur sporting club, a sponsorship or referral fee of $1000 is of great benefit and is definitely appreciated. It [the referral program] has assisted us in purchasing both junior and senior equipment and uniforms as well as the purchase of a number of essential first aid items. I would not hesitate to recommend this system. Wests’ Rugby Union Club, proudly supported by Canberra Southern Cross club, has been happily associated with IMB through our referrer agreement for the past 3 years. 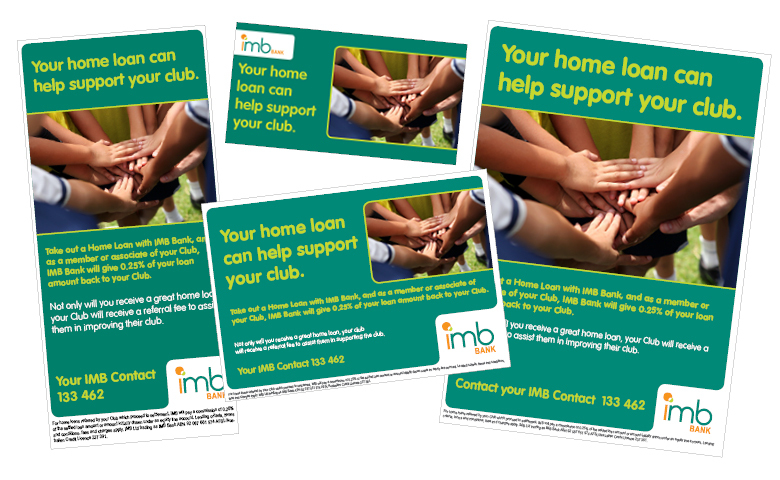 The referrer agreement is a fantastic opportunity for Wests to promote IMB’s great banking facilities to our members and generate some much needed revenue for the club. 1. If a new loan discharges within 12 months of settlement, the referrer must repay 50% of the commission paid to the referrer for that loan. 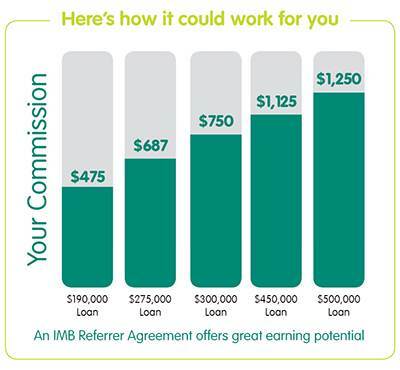 IMB may deduct the relevant amount from any subsequent commission payments to the referrer. 2. Not all features are available on each IMB Home Loan product. Normal IMB lending criteria, terms and conditions, fees and charges apply to all loans under IMB referral agreements. 3. 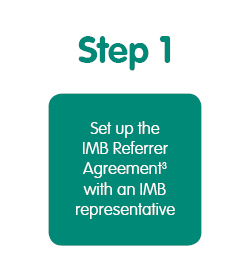 The IMB referrer agreement sets out terms and conditions applying to the establishment and operation of an IMB referral arrangement including legal requirements that apply to the referrer and the conditions which must be met for referrer to be exempt from the national credit licensing regime. 4. The referral fee is deposited into the referrer’s nominated account the month after the new loan settles. IMB Ltd. trading as IMB Bank. ABN 92 087 651 974. AFSL/Australian Credit Licence 237 391.